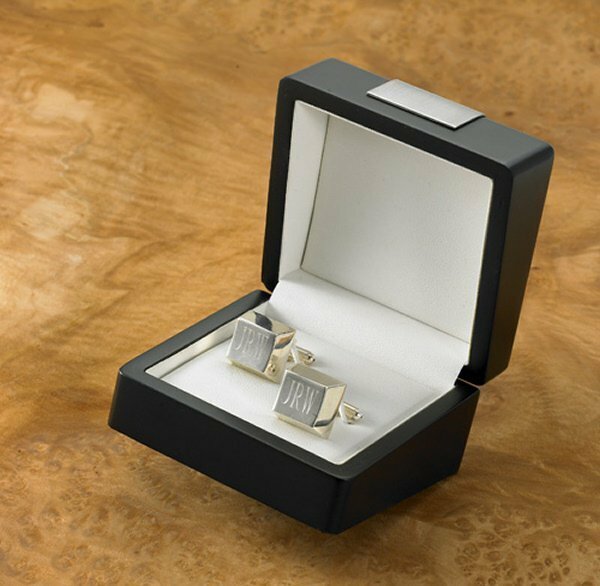 Add style and sophistication to his wardrobe with these elegant sterling-silver plated cuff links. 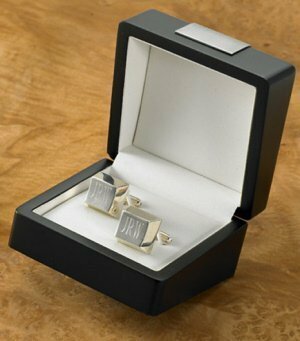 Personalized with his initials, these square-shaped cuff links would be perfect as a thank-you gift for your groomsmen. They would also be ideal for a graduation, special birthday, anniversary, or retirement gift. The cuff links measure 3/4" by 1" by 3/4" and are personalized with three letters. Note - This item includes a personalization, color, size or design option: Initials (max of 3 characters) (Free of charge). You may specify this information during our checkout process.